Halsey in Montreal or Quebec City? Inform me about the next events for Halsey. Enroll yourself to our priority waiting list for Halsey to be alerted when new tickets are available. Filling this form doesn't engage you to any purchase. 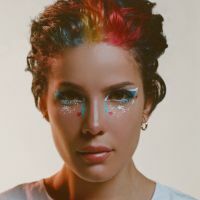 Indie pop singer Halsey was set to be back in Montreal for a concert at the Bell Centre on October 3rd, 2017, but the show has been canceled. Halsey was scheduled back in Montreal two years after her last concert here. That show was originally planned at the Corona Theatre, but was pushed to Metropolis to accommodate high demand. Ticketholders may get a refund at the original purchase point.